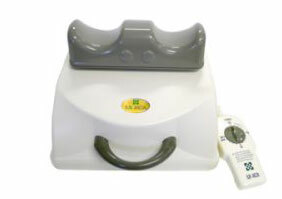 The Original Sun Ancon Chi Machine that was Presented on the syndicated show, The Doctors. <View the video clip from the show> - The Original Sun Ancon Chi Machine was invited to be on the show, not an imitation! Our competition would like you to think they were invited and demonstrated. Relax, we have the best price and service on the web Blessed are We.... Stay Healthy ... Enjoy Life! 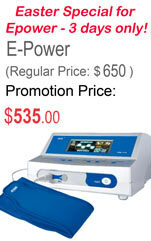 > Read More About the Sun Ancon Chi Machine, click here. The Original Sun Ancon, Chi Machine ® home aerobic exerciser (newest model SDM-888 ), oxygenates,tones, strengthens the body, increases feelings of energy, aliveness and well being, stimulates lymphatic system, exercises and balances spine, 100% satisfaction guarantee or your money back. As you surf the web looking for the absolute best deal possible, you found it. Our combination of customer service and support are the best on the internet. Others may talk, but we deliver! We have a toll free number (877-369-8305 ), where you reach us 24 hours a day/ 7 days a week. If you call our toll free number and we do not answer, please leave a message with your phone number and we will provide an additional free gift when you order from us. Hablamos espanol! Si, Hablamos Espanol! Preguntanos de Nuestro Especiales. 877-369-8305 Gracias!! This is the New ORIGINAL SUN Ancon Chi Machine - Model SDM-888. which replaces the SM-330. This is better than we could have imagined. Quieter, smoother, and that same frequency that we have come to know. We don't sell the imitations, just the Original!! We offer exceptional customer service and are 24/7 for your questions and assistance. Buy with confidence. Thanks guys...you are so fast. Why get the Original Sun Ancon Chi Machine? About my experience with the Chi Machine. I tried the original Chi Machine a few years ago. I ordered an off brand for about $120 through my chiropractor. I thought to myself, "What a great deal!." It wasn't gentle while swaying back and forth. It was more like it bangs you to one side and then bangs you to the other side. I never got that wonderful all over soft tingling sensation that I got with the original Chi Machine. Fast forward: My REAL Chi Machine is gentle, I get the wonderful tingling sensation...my lower back and hips loosened up in just a few days and gets better each day. I use it twice a day for ten minutes. There is a huge increase in my energy level...it can only get better from here. Very Happy! The Sun Ancon Chi Machine that I purchased from you has been wonderful. I look forward to when I can use it and have been using it almost daily since I received it over 2 months ago. The primary purpose for using it is to relax my back and improve my structural alignment issues. The added benefits I discovered are that it promotes total relaxation, and I get a sound night's sleep if I use it before bedtime. I have even lost a couple of pounds over the last 2 months. As the session ends I feel light and happy. I am sending a machine to my sister to help improve her circulation issues. I think she will really enjoy the positive effects. I am a very satisfied customer. How many minutes would you like me to set for you on the Chi MachineOne of the wonderful benefits of the Chi Machine® is that it allows the body to work effortlessly with its own natural frequencies. The 144 cycles per minute (oscillations), is both a multiple of the average pulse rate (72) and the cerebrospinal pump rhythm (12). Each person's body is influenced by the sum total of all physical, emotional, mental and chemical forces that it is exposed to, and its ability to respond effectively to those forces. Suggestion: Don’t forget, use the Original Sun Ancon Chi machine for that passive aerobic exercise. Allow your body to use that oxygen most efficiently and feel better while you prepare for the longer days of Spring. Our wellness products will help us be pro-active, instead of re-active! Stay well and may God bless us all! Check Out Jefe's Blog on the SoQi Ceramic Heater. If you want to keep you and your pet healthy, check out what El Jefe has been barking about.